Someone on this list might be able to help support you if you’re having a hard time at school. The list can also help you work out exactly what staff do when they’ve got job titles that make no sense to you. Remember that there are other people who aren’t on this list but might be able to help. 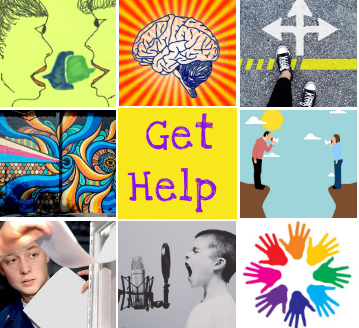 Check out the Get Help section of Reach for ideas of people you could contact. Pupil Support Worker– gives you extra help in class or with other things like getting around the school. Buddy – an older pupil who is there if you need to talk to someone. May also help you settle in if you have just started at a new school. Guidance teacher – can support you with things like planning your learning and is there to talk to about any problems or worries. Can also help you get ready to leave school. Learning support teacher – helps you with your learning so that you do the best you can in school. Also helps to plan any extra support you need. Access officer – helps make sure you can take part in all school activities. This could be by making some changes to the school building or how you learn in the classroom, or by giving you info in the format that works best you – like braille, audio or large print. Careers adviser – helps you think about what you could do when you leave school. Can give you advice and info about all the choices that would be good to think about. 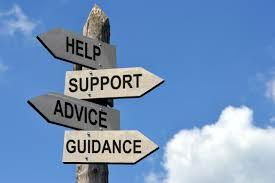 If you don’t have a careers adviser at your school, ask your guidance teacher for help. Educational psychologist – works with your teachers to decide what you need to help you learn. May be involved in deciding what kind of support will help you and whether you need a co-ordinated support plan (CSP). worried about school, or you care for someone at home, or are from a Travelling community. Advocacy worker –helps you to share your views. Can go with you to meetings about your learning and support, helping you to work out what you want to say and speaking for you if you want them to. Children’s rights officer – gives you advice about your rights and helps you have your say at meetings. Can help make sure you are always treated fairly and help stop things that should not happen. 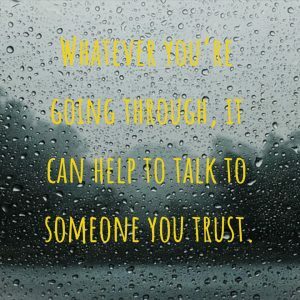 Counsellor – someone to talk to if you feel upset, worried or unhappy, or are finding it hard to cope with life. They help you to understand your feelings and find ways to cope. Mediator – someone who helps with difficult conversations or disagreements by getting both sides together and helping people agree on a way forward. A mediator does not take sides. Social worker – can help you with difficulties at home and support you if you are care-experienced. Might be involved in deciding what extra help you need at school. Support worker – can help you with day-to-day things like managing money, going shopping or getting ready for school in the mornings. Can help you at home or at respite breaks. Some good advice from the young people at Aye Mind.